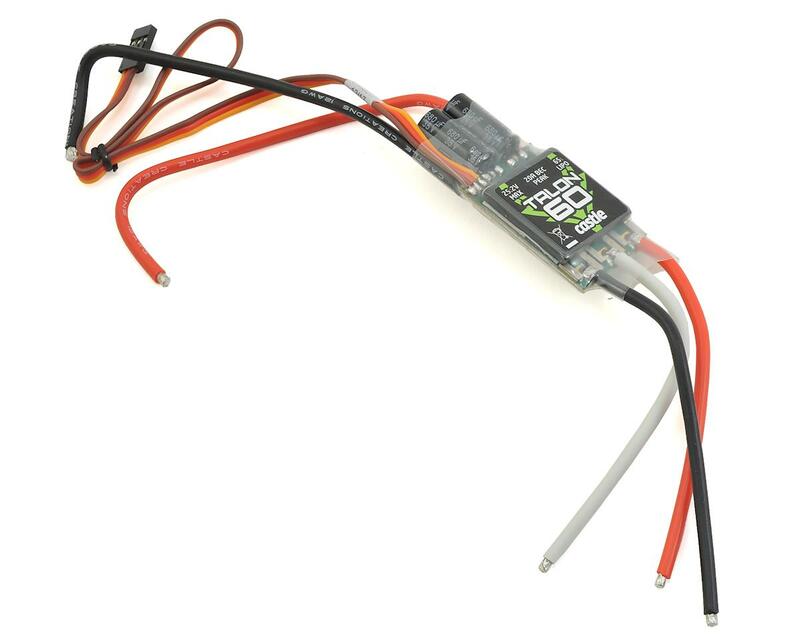 This is the Castle Creations Talon 60 Brushless ESC. 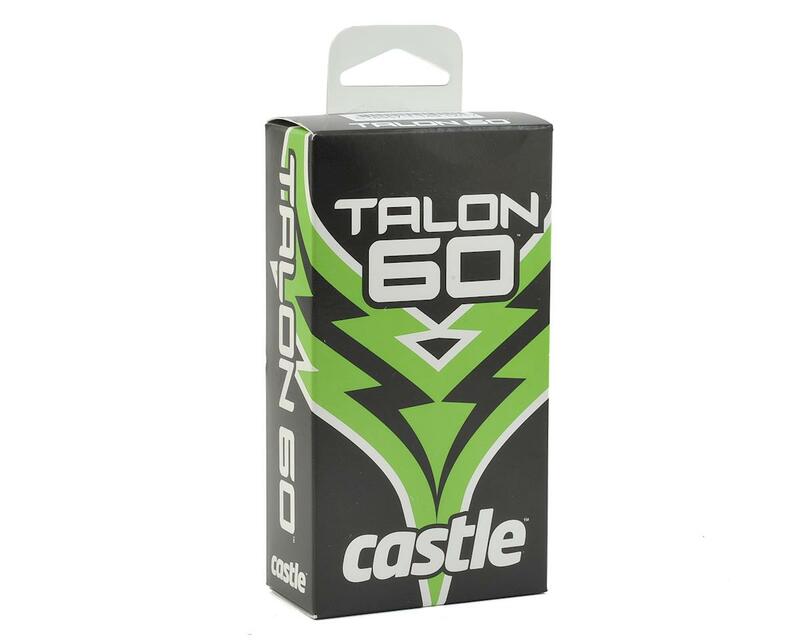 Castle’s Talon 60 ESC sports a Heavy Duty 20A BEC designed for today’s servos, pumping out up to 20 amps peak power and 8 amps of continuous power to keep even the hungriest servos happy. Talon 60 is ideal for helicopters drawing 1,400 watts on 6S. It’s a great fit for small scale or 3D helis ranging from "360-450" class helicopters swinging 325mm-360mm rotorblades. Of course, Talon offers Castle's industry-leading helicopter functions, such as the unbelievable direct entry governor mode. Simply type in the desired RPM using a Castle Link USB Adapter (coupon for free Castle Link adapter included in package) and the free Castle Link GUI running on a Windows PC! The Talon 60 is perfect for scale, sport, and aerobatic planes that are categorized as .32-.60 range that require up to 1,400 watts on 6s. Castle Talon delivers premium performance and features at an amazing price.